Previously sold — Autology Motors, S.L. Built from 1948 to 1985, the "Series" Land Rover is arguably the most iconic 4x4 ever built, and forged a reputation for ruggedness, dependability, and off-road capability on which the Land Rover brand still trades today. Click here to see some of the Series trucks we have sold in the past. Defenders and Late Santanas were introduced to the world in 1983 and sold through 2015 and 1993 respectively. With updated powertrains and trim they brought the toughness and durability of the Series Land Rovers into a more modern age, and have become iconic and recognizable the world over in their own right. Click here to see some of the Defenders and Late Santanas we have sold previously. 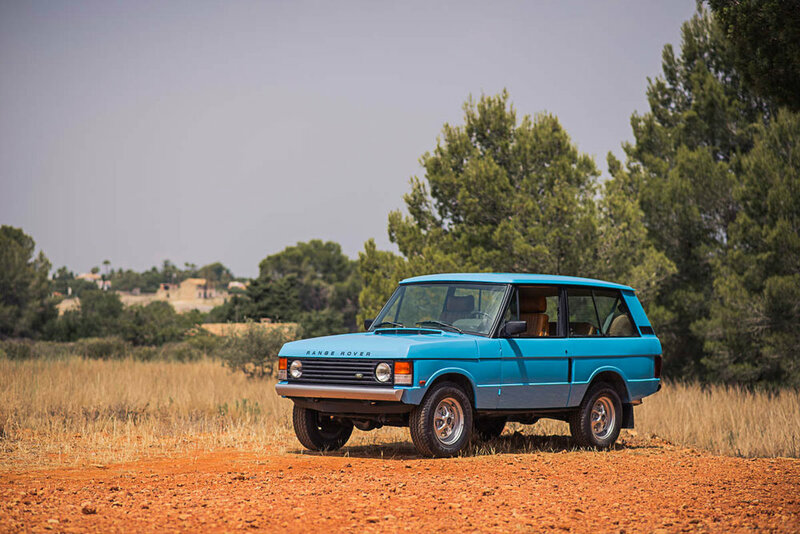 Introduced in 1970 and still offered today, the Range Rover was a new kind of 4x4. With full-time AWD and a long travel coil spring suspension it combined the off road capability of a Defender with refinement and comfort that rivals contemporary luxury road cars. Click here to see some of the RRC's we have built and sold previously. The motoring world is a big place, and although we specialize in vintage Land Rovers, it's not all we do. From classic vans to vintage sports and GT cars, all the way up through modern rally replicas, we continue to find and offer the best and most interesting examples anywhere. Click here to see some of the other vehicles we have sold in the past.